Funny how something major like using Dropbox isn't mentioned at the outset If you'd included that tidbit that would have changed the conversation considerably. When people ask for help in a forum it really helps to provide lots of clues, it's a bit like a detective novel. We need clues to figure out who did it. YES it takes quite awhile for a files (larger the longer) to upload to Dropbox and then replicate elsewhere. If you plan to do real work using Dropbox you'd better be careful. It is very easy to borrow something that another person has already borrowed because of the latency between upload and replication. 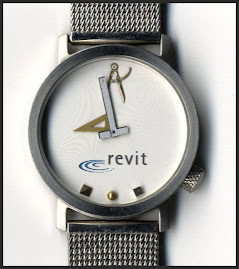 When that happens whoever was second or third will lose, lose everything they did because Revit will not let you synchronize your work at all. Your "invalid Schema" error is indicating that the file was not intact when Revit tried to open it. This will happen if the file isn't completely replicated or uploaded. Dropbox does not know anything about the relationships between our files or that Revit is attempting to communicate between central and local files. It just copies bit for bit from here to there and there. This means that it is all together too easy for Dropbox to kill the relationship unwittingly. If you can be certain that no two users are actively working on the project concurrently then there is much less risk. That would be something like a "follow the sun" workflow where someone in Europe works on the file until someone in the USA joins as the European's day winds down and the American stops works as the Australian begins and so on. Concurrent workers with files on Dropbox is a love story heading for heartbreak.